If I had a dollar for every time I said "essential oil," I'd be a very, very rich person right now. My love of essential oils is no secret. After all, my essential oil collection is out of control. But I'm okay with that. I mean, I use them all the time. It's not like they're a precious item I hoard & worship but never use. So, why not share some of my latest additions? It's a warm & sunny winter day in Northern San Diego. I'm sitting in my office nook as I take a sip of my Earl Grey tea with a splash of almond milk. My light up diffuser disperses the scented vapor throughout the house. I mixed birch, cedarwood, & sage. Ah, how blissful it is to work from home. 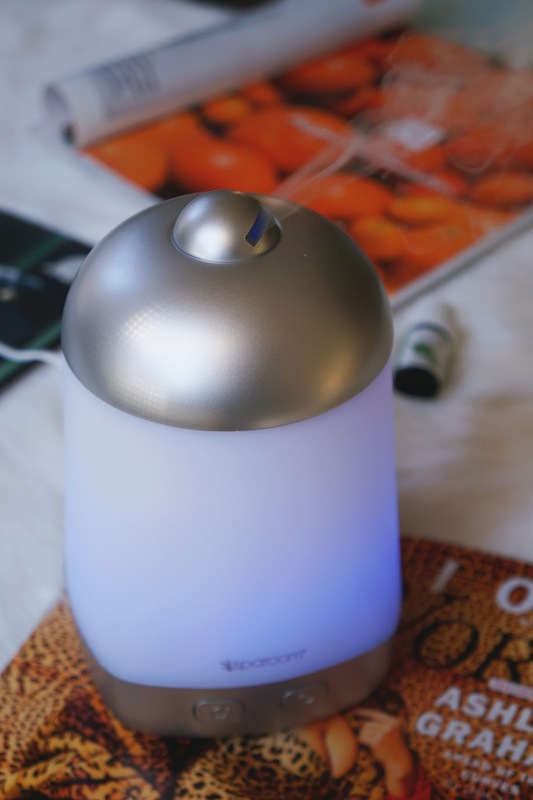 My diffuser is the silver SpaRoom Spa-Mist Ultrasonic Mystic & Fragrance Diffuser. This is the second time I've purchased it because the first one stopped working. It was so cheap I just bought it again. This time I'll take better care of it & hope it'll last longer than a handful of months. I love that you can turn the lights on or off. I leave the light continuously on so it can change colors, but you could set it on one specific color or leave the lights off entirely. 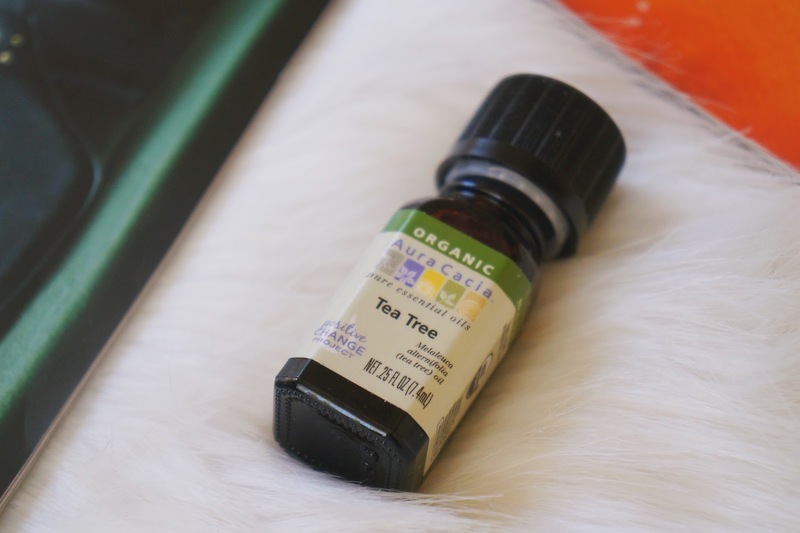 I reordered my favorite tea tree oil by Aura Cacia as well as something called the Essential Oil Hippie Pack, which included birch, patchouli, & cedarwood essential oils. The cedarwood essential oil is giving me major heart eyes emoji vibes right now. 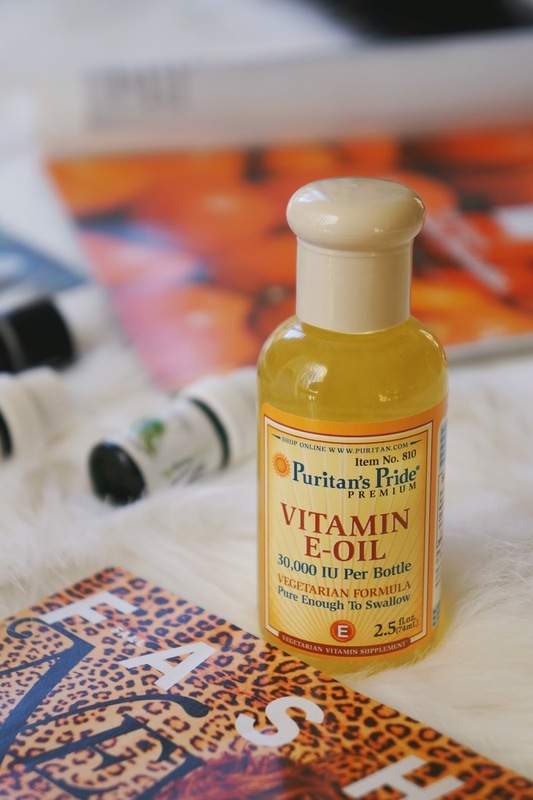 Last but not least is the Puritan's Pride Vitamin E-Oil 30,000 IU-2.5 fl oz Oil. I ordered everything from Puritan's Pride. The site is enormous with a huge range of vitamins, herbs, beauty, personal care, food, & even pet products. Get your hyaluronic acid beauty cream, vegan-friendly multivitamins, portable essential oil diffusers, & dried vegetable chips in your jammies. Love it! i have not. 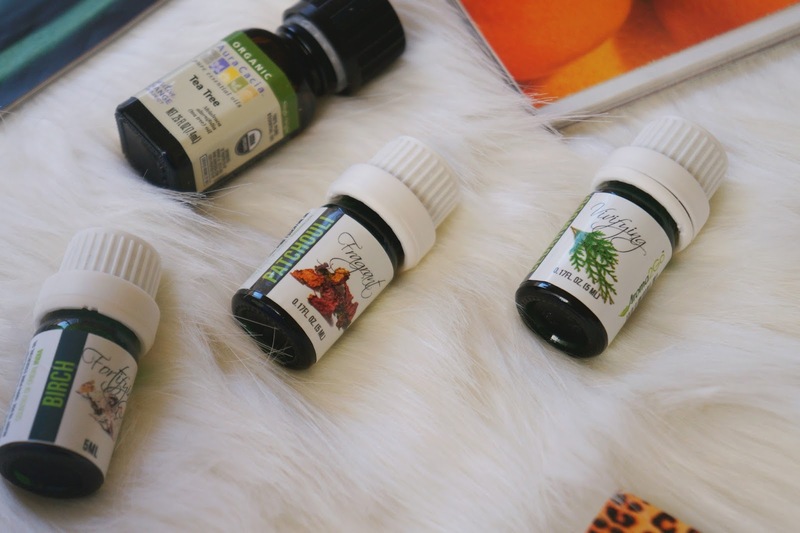 Essential oils are definitely something I need to try more of this year! I love using essential oils! They are so good for you! I haven’t tried Puritans Pride but it looks like a great site! I think my favorite EO is lavender. I like to put it on my wool dryer balls to make my laundry smell nice. I also rub a couple drops on my hands if I don’t have antibacterial hand gel. Love, love, love essential oils! I have my morning blends that I burn for energy and motivation, my evening blends for relaxation and sleep. I make my own facial oils, perfumes, hair products and insect repellants all with natures own remedies. Carry a little Bergamot at all times to put a pep in your step and a smile on your face! I have the same diffuser! 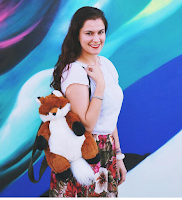 I am just getting started with my EO habit so I am glad I found your site!